Which Hot Tub Enclosure Should I Get? 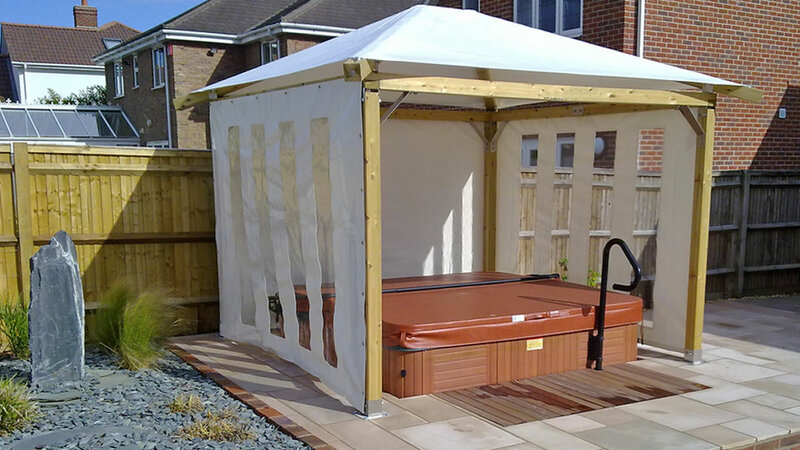 Once you have decided on a hot tub for your garden, incorporating an enclosure to protect your equipment is a fantastic idea – especially with the uncertainties of British weather! An enclosure will provide shelter for the unit and protect it against the wind, rain, and the elements, potentially saving you hundreds of pounds in repair costs. 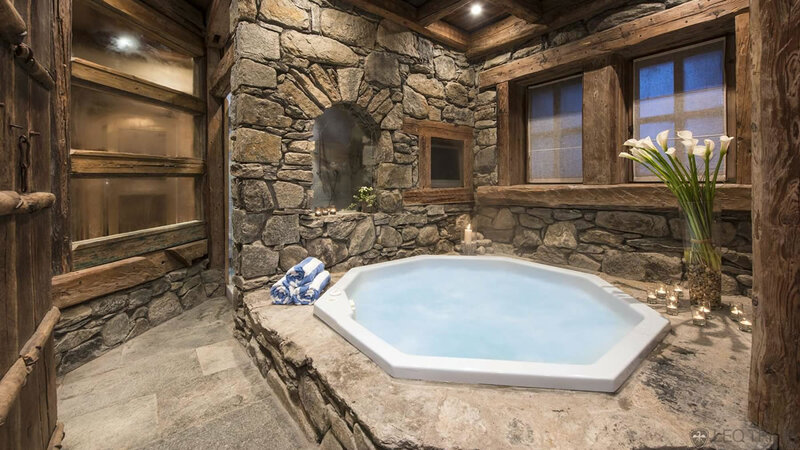 A hot tub enclosure also provides you with a place to relax and unwind. Here are some of the best types of hot tub enclosures. 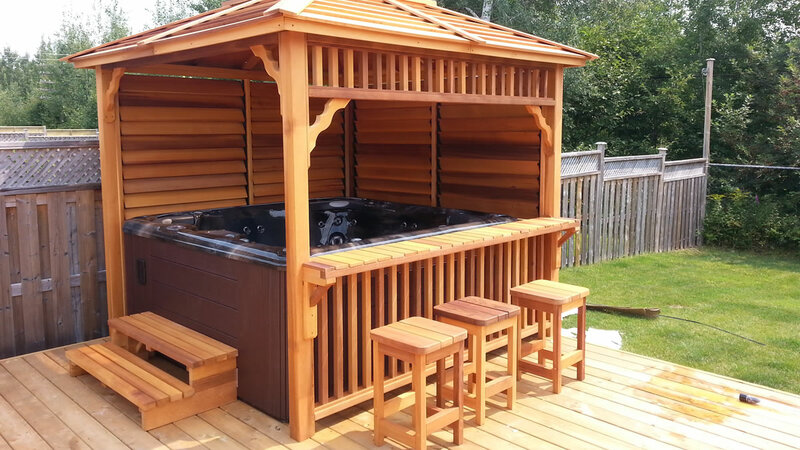 Gazebos for hot tubs are usually wooden structures that have a square design and a sloped roof, providing you with glamour and sophistication in your back garden. This type of enclosure instantly creates a dramatic impact in your garden and unlike glass enclosures, gives you lots of privacy. Gazebos might be covered on all four sides or just have three walls. You will also be able to customise the design, incorporating windows, doors and other features that reflect the rest of your garden. Hot tub canopies are usually similar in design to wooden gazebos but have a simple style that looks good in almost any garden. This type of hot tub enclosure doesn’t become the centre of attention, meaning that it won’t become an eyesore in your garden. Canopy enclosures provide ventilation for the hot tub but still allows natural sunlight to enter the structure. These enclosures allow you to take care of your hot tub throughout the year and will ensure the equipment stays in good condition. Like gazebos, you can customise your canopy enclosure as you see it, incorporating design features like windows and doors. Chalet designs are elaborate and stylish and give you all the privacy you need. These usually come with a natural finish but you can paint the chalet in a colour that suits your personality. Chalet designs are usually accessed by a door with a locking system, giving you more security than some other enclosure designs. As these enclosures are covered on all four sides and come with a sturdy roof, they offer unparalleled protection against the elements. A barn-style enclosure is a bigger, bulkier design that presents you with protection from the weather and privacy from neighbours. These extensive structures allow you to keep larger hot tubs inside with plenty of space for tables, chairs and other decorative items too. Barn-style enclosures are usually made from a high quality wood and have a sloped roof. They may also have a locking system which will keep your hot tub safe when you are away from your property.